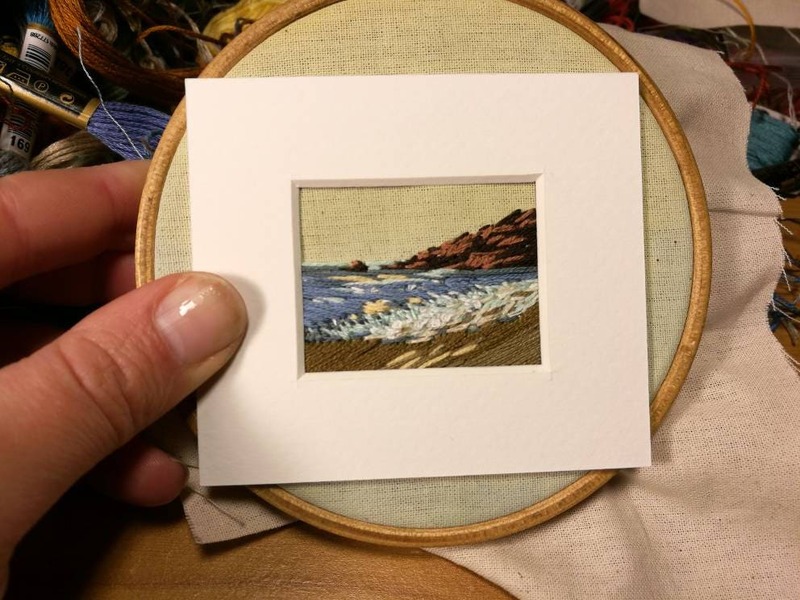 This listing is for a handmade embroidered mini landscape of your choice. Do you have a special photo of your favourite place? Or your house? A lovely gift to receive is an embroidered mini version of this photo. I will paint in the sky with acrylic paint, I then embroider the details from my drawings of your photo. Your embroidery will be unique and sewn with 1 - 3 threads, making it very detailed. Send me a favourite photo or scene via a message after your order. We can discuss the painting/embroidery options via message too. 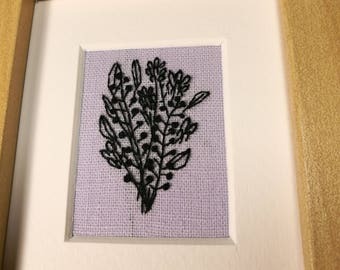 Each embroidery will be framed in a 8 x 9 cm frame, with 5 x 6 aperture (this will be the size of the actual embroidery). The back of the frame will have my shop stamp. I also offer pre made embroideries so take a look at my shop.